Tasho had the most liked content! With time crazied you mean something like this? 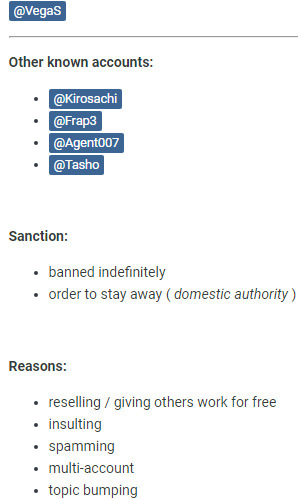 Frankie/M2BobFixed/warxwar/RaFFa is stealing your players' passwords! That's why metin2 is cancerous community..we stole code/ideas from another guys and put inside without any mention or thanks for it, doesn't importantly if you post free or not. 1. 2. 3. There are more.. You know very well about what i'm talking, already there exist more guys which take system a, b from C and make some changes and adapt it for another things. I don't will talk about the rest of code which is already non-sense, already all people can see it. Look: Already you and this guy stole the same concept of call event and check real time from Tournament PvP and do some changes, great coders. Good luck "Developer of future." Variable names can't start with a number (in more languages), you have to change the names for self.1 & self.1_func. I think he talk about this video. You can't block it 100%.